Quick, 24/7 Access to Replacement Parts and Tools. 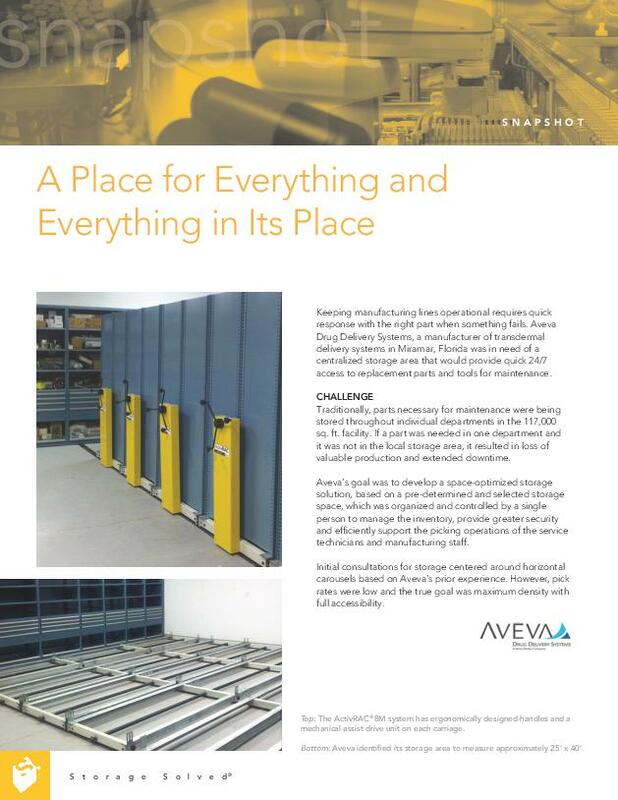 Aveva Drug Delivery Systems eliminates duplicate part purchases through centralized storage. Imagine you have replacement parts stored in individual departments throughout a 117,000 sq. ft. facility. This is what confronted Aveva Drug Delivery Systems, a manufacturer of transdermal delivery systems in Miramar, FL. The company badly needed centralized storage and wanted 24.7 access. Plus, duplicative parts have been all but eliminated. The system is organized and controlled by a single person.